In the run up to the event, Sri Lanka Tourism Promotion Bureau (SLTPB) ran campaigns at main railway stations across Italy, including eight railway stations with seven of them being in Milan, with eye-catching backdrops and posters that bring out the best Sri Lanka has to offer. The So Sri Lanka brand identity was showcased all over Milan to coincide with the roadshows there and in Bologna as well. The promotional campaigns were carried out with the assistance of the Sri Lankan Embassy in Rome and consulate in Milan, Italy. The campaign added hype ahead of Sri Lanka’s participation at the BIT, where a number of visitors had mentioned the banner campaigns. BIT stands for ‘Borsa Internazionale del Turismo’ (‘International Tourism Exchange’) and is the reference point for all Tourism System Leaders, with the activities spread out on three days, with each one devoted to a particular theme. Sri Lanka Embassy in Rome together with the Sri Lanka Consulate in Milan, Italy represented Sri Lanka with SLTPB and 19 travel industry members. Sri Lanka had one of the most eye-catching and alluring stands which was specifically designed by Colorcom Allestimenti Fieristici Srl in Italy for this show. Visitors who were warmly welcomed were treated to a steaming cup of Ceylon Tea whilst the market officers spoke at length of Sri Lanka’s famous attractions, history and proud cultures. Ambassador for Sri Lanka in Italy Daya Pelpola ceremoniously opened the Sri Lanka Pavilion with the presence of Deputy Consular General for Sri Lanka in Italy and the officials of SLTPB, officials of Sri Lanka Embassy in Rome, officials of Sri Lanka Consulate in Milan on 10 February, the first day of the event, by cutting a ribbon with the industry members. Monitoring MP Harshana Rajakaruna also participated at the event. Taking into consideration the importance of Italy as one of the emerging tourists generating markets in Europe, Aitken Spence Travels, Ceylon Roots, Golden Isle Travels, Jetwing, Diamond Leisure, Crystal Holidays, Ayubowan Tours and Travels, Camlo Lanka Tours, Walkers Tours, Airwing Tours, Heritance Holidays, Ceylon Tours, Edlee Tours & Travels, Relax Lanka Tours, Explore Vacations, NKAR Travels & Tours Ltd., E-Turismo Lanka, Kamvelta Travel and Tours and SriLankan Airlines participated as the co-exhibitors. 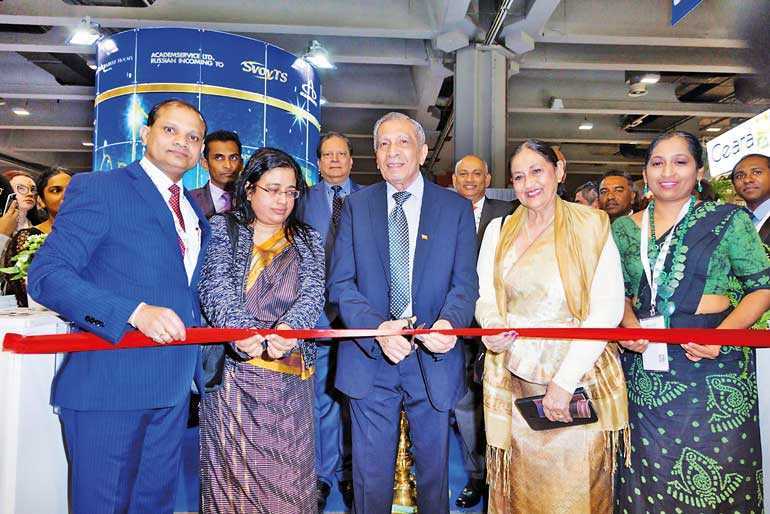 The co-exhibitors at Sri Lanka stand who represented Sri Lanka Tourism industry said the event was a roaring success as it enabled them to strengthen existing businesses and establishing new contacts throughout the fair. The public and trade visitors also took a keen interest in Sri Lanka as a tourist destination and their response was extremely positive. 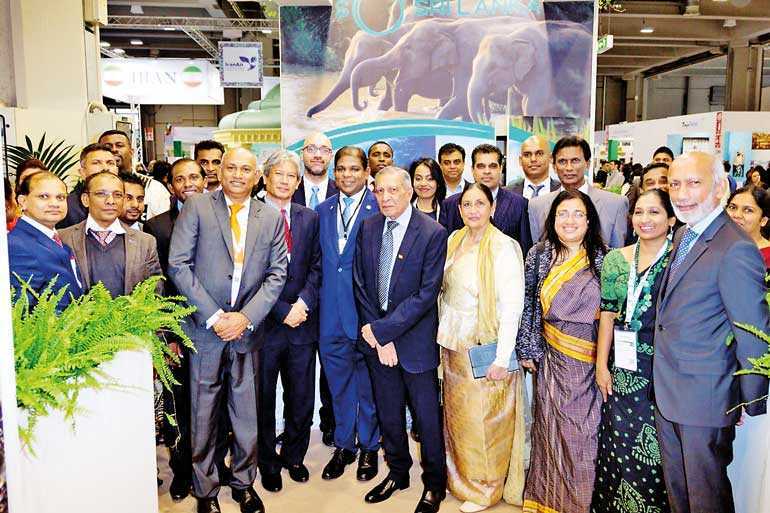 The positive progress achieved by Sri Lanka at BIT 2019 confirmed its position as an important marketing instrument in the region for the local tourism industry. Since BIT is one of the most important travel and tourism promotions in Italy at which SLTPB regularly takes part, all the Sri Lankan participants recommended that SLTPB should continue to participate at the same while searching other effective travel and tourism opportunities in order to promote the destination amongst the visitors, both trade and consumer from the non-traditional European markets to create awareness of the tourism products available on offer.